Graphene 3D Lab Inc. (TSX-V: GGG, OTCQB: GPHBF) ("Graphene 3D") is pleased to announce a distribution and manufacturing partnership with Polymaker. Under the terms of the agreement, Polymaker (www.polymaker.com) will distribute all Graphene 3D manufactured specialty and functional filaments and provide filament manufacturing services on an as required basis. Polymaker's manufacturing operation is located in Suzhou, China, and the company operates sales and distribution offices in Shanghai, China, New York, USA, Utrecht, Netherlands, and Tokyo, Japan. 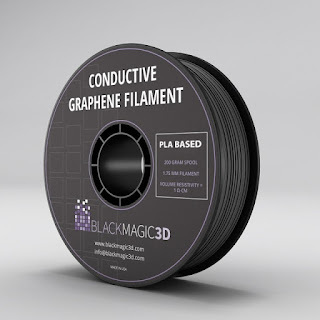 Graphene 3D's on-line filament store, www.blackmagic3d.com, will carry unique Polymaker filaments, including PolyMax(TM) PLA, PolyFlex(TM), and PolyWood(TM). Both companies plan to start offering each other's products on their respective on-line stores in July. The agreement also includes provisions for Graphene 3D and Polymaker to collaborate on the development of an expanded line of graphene filaments. Graphene 3D CEO Dr. Daniel Stolyarov commented, "This partnership with Polymaker is an important step for Graphene 3D on several fronts; Polymaker's distribution network will expose our filaments to customers outside of North America, and our contract manufacturing agreement provides us with a high quality manufacturing alternative to supplement our in-house extrusion facility. Polymaker's existing specialty filament products also align well with our functional filaments, and we look forward to including them with our offerings." next innovation to use in their 3D printing projects. The Graphene 3D functional filaments are a natural complement for our customers and for our existing filaments," added Polymaker President, Dr. Xiaofan Luo. Graphene 3D Lab is in the business of developing, manufacturing, and marketing proprietary graphene-based nanocomposite materials for various types of 3D printing, including fused filament fabrication. The Company is also involved in the design, manufacture, and marketing of 3D printers and related products for domestic and international customers. The Graphene 3D Lab facility is located in Calverton, NY and is equipped with material processing and analytical equipment. The company has four US patent applications pending for its technology. 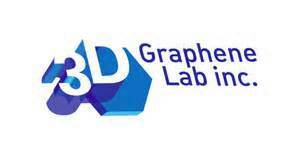 For more information on Graphene 3D Lab Inc., visit www.graphene3dlab.com. Polymaker is a company committed to innovation, quality and sustainability, in the pursuit of producing high-quality materials for the 3D printing industry. Headquartered in Shanghai, China, Polymaker now has global offices in the USA, Netherlands and Japan. With their state-of-the-art manufacturing centre and market leading quality control processes, Polymaker's filaments are not only ensured to have the best quality standards but also provide innovative properties. Whether it is with their increased mechanical strength, unparalleled Jam-FreeTM printing or world's first, 3D printable foam based filament, Polymaker will continue to bring new performance enhanced materials to the 3D printing community. This news release contains "forward-looking information" within the meaning of applicable securities laws. Forward-looking information in this news release includes statements about collaboration and material sales between Graphene 3D Lab and Polymaker. In connection with the forward-looking information contained in this news release, the Company has made numerous assumptions, regarding, among other things, purchases to be made by Polymaker for Graphene 3D materials and collaboration to take place between Graphene 3D and Polymaker. While the Company considers these assumptions to be reasonable, these assumptions are inherently subject to significant uncertainties and contingencies. Additionally, there are known and unknown risk factors which could cause the Company's actual results, performance or achievements to be materially different from any future results, performance or achievements expressed or implied by the forward-looking information contained herein. Known risk factors include, among others: incompatibility of the technologies owned by Graphene 3D and Polymaker; either party, for any reason, choosing not to move forward in joint collaboration or sales of materials. 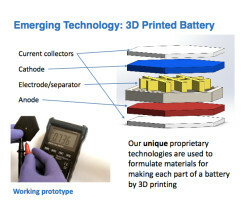 SOURCE: Graphene 3D Lab Inc.